At the conference held at the StartIt Center, CBS International, part of the Cushman&Wakefield Group, presented the trends and evolution of offices in Serbia to representatives of the largest IT companies in the market, as well as trends and tendencies in the field of office design. Cushman & Wakefield Retail Agency team was recognized as the best Retail Agency team in CEE & SEE Region at the prestigious HOF Awards 2019. In the first quarter of 2019, global logistics operator Rhenus has moved into new premises in NBGP Properties in New Belgrade, with the professional support of CBS International Office Agency. CBS International Office Agency team gave its full professional support in negotiation of expansion of the Termovent offices, within GTC Green Heart Office Complex. Diwanee Serbia, a digital media company, with focus the Middle East and the GCC, has relocated its Belgrade office to new premises in central city zone at Kneza Milosa St, with the professional support of CBS International Office Agency. CBS International Office Agency Team has found new location for DCS Communications, multifunctional call centre service company in Danube Business Center. Working in the name of landlord CBS International managed to lease the space in 31 Glavna St, Zemun for new redesigned branch of Eurobank. and local brands, including the first H&M store in Bosnia and Herzegovina. Knez Mihailova Street is richer for another fashion accessories brand Meli Melo, with the help of CBS International Retail Agency. CBS International is an exclusive sales representative of one of the most attractive portfolios of office buildings in Serbia. New Opti Plaza store has been opened in Kralja Aleksandra Blvd, with the help of CBS International. Our Office Agency team participated at the conference Coworking in Poland – What’s Next? at WeWork’s office in Browary Warszawskie, Warsaw, Poland, hosted by Cushman & Wakefield. 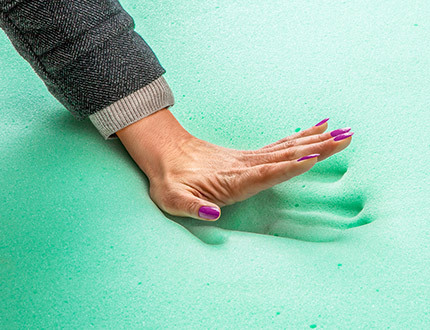 The conference explored the rise of flexible leasing in a response to changing occupier requirements and growing importance of such values as community, openness, collaboration and accessibility. Our capital city is going to be richer for a new contemporary residential-commercial complex ZepTerra. The construction will begin in spring 2019, in New Belgrade, in the immediate vicinity of a well-known business park Airport City Belgrade. This project will cover 100,000 square meters, with structures ranging from studios to 4-bedroom apartments and already in the first phase of the sales there will be 227 residential units with adequate number of parking spaces. The new residential-commercial complex will be realized by two international groups, Zepter Group with headquarters in Switzerland and presence in over 60 countries; and Yihai Properties Group from Hong Kong, which is appearing on our residential market for the first time. Exclusive sales representative of residential complex ZepTerra is CBS International, a part of Cushman & Wakefield Group. CBS International started the new year by presenting the latest trends in all segments of the real estate market to representatives of the banking sector. At the conference held in the Crowne Plaza Hotel, expert consultants from the CBS International team gathered some of the most prominent representatives of the banks where they presented relevant real estate data from the previous year and the expectations for the upcoming period. The previous year recorded extremely positive trends in all segments, whether it is the number of built square meters, the supply and demand ratios, the volume of investment transactions or the number of leased square meters of office space, while our country is becoming more and more interesting to foreign investors. 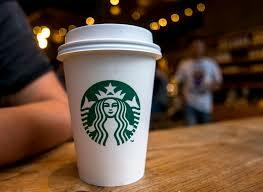 Starbacks coffee soon in Serbia! First Starbacks coffeshop opening soon in Belgrade with the professional support of CBS International Retail team. CTP invest d.o.o. 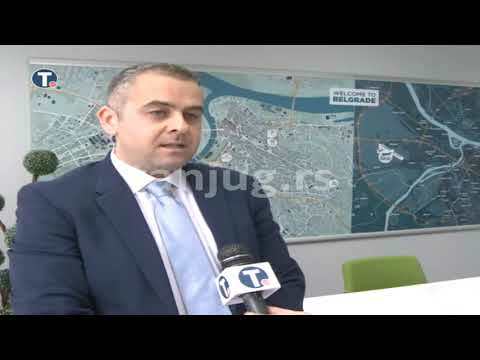 has announced the beginning of construction of CTPark Belgrade West (cca 14,000 sq m) and CTPark Novi Sad (cca 23,000 sq m) in the spring of 2019, the total value of investment is EUR 75mil. The conference ”Let’s talk about real estate”, in the organization of CBS International, gathered in the Crowne Plaza Hotel the most prominent domestic and international investors summarizing the results of 2018. The last twelve months have brought positive changes in the real estate market, and the general conclusion is that Serbia is becoming more and more interesting location for investments in all segments. Nordeus, one of the world’s leading gaming companies based in Belgrade, undertook refurbishment of its 3,500 sq m premises in order to improve working conditions and incorporate the latest trends in office space organization with the professional support of CBS International Project Management team. The Erste Group Immorent has begun the construction of the second phase of the Sirius Office complex in New Belgrade. The investment is worth EUR 25 million and will expand the Sirius complex for additional 12,500 sq m and 200 parking places, the opening is planned in Q2 2020. On this year’s CIJ Awards Serbia & SEE 2018, CBS International won two prestigious awards as The Best Country Power Broker Team and The Best Local/Residential Power Broker Team. CBS International Office Agency team has negotiated lease renewal for Roche, one of the leading pharmaceutical companies in Serbia. The company has decided to stay in GTC Square office building with lease of 950sq m of office space. 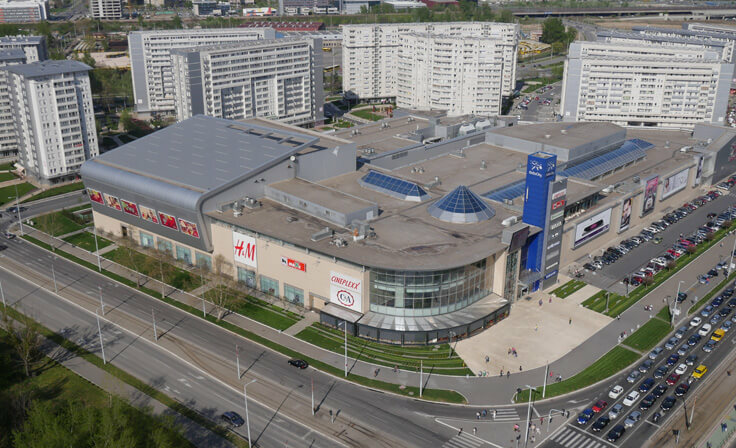 The biggest shopping centre in the country, investor Nepi Rocaslte, has opened in Novi Sad. Promenade shopping centre has almost 49,000 square meters of space designed for shopping and entertainment, with more than 160 brands. Springfield, one of the leading brands in fashion industry, with an international presence in 70 countries and more than 850 points of sale, has opened their new store in Boulevard of Kralja Aleksandra, space of 300 square meters with the help of our Retail Agency team. Investors of Business Garden, Israeli companies AFI Europe and Shikun & Binui Group supported the Summit 100, annual get-together of South Eastern Europe’s business leaders, which was organized by the Serbian Association of Managers and after seven years hosted in Belgrade again. Mr. Gili Dekel, Managing Partner said that their aim, among other things, is to contribute to the creation of an enhanced modern business environment, and that the Business Garden office building will provide large global and local companies, especially those focusing on information technologies, telecommunications and alike, with a modern business and working environment that meets the highest international standards. The exclusive leasing representative for this one-of-a-kind office building is CBS International, part of the Cushman & Wakefield group. CBS International supported the monthly meeting of the Chief Financial Officers Association of Serbia at the Crowne Plaza Hotel. Panel Topics: Property Valuation, Frameworks for National Assessment Standards in Financial Reporting, Optimization of Real Estate Lease Costs, Flexibility of the Workplaces and New Trends in the Design of the Workspace. Panelists: Srdjan Teofilovic, Bojan Jevtic, Vera Lukic from CBS International, and Aleksandar Djurdjevic Director of Audit at Deloitte. 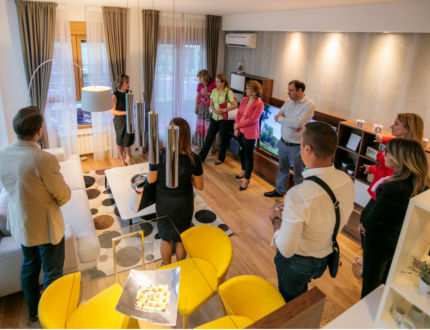 Members of the CFO Association of Serbia (CFOAS) visited the sales house and the sample apartment of the first condominium in New Belgrade – Wellport – which is located in Tadija Sondermajer Street, right next to the business park – Airport City Belgrade. 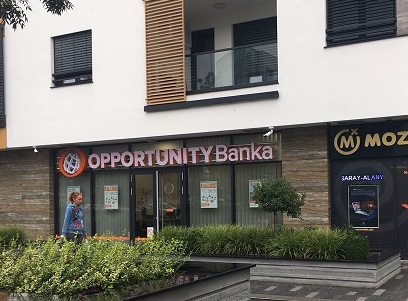 Opportunity Bank, a community bank specialized in microfinance, operating in Serbia since 2002, has opened its new branch office in cooperation with our company, in New Belgrade in Jurija Gagarina Street, space of 125 square meters. Nortal, an international company specialized in software development, has moved its offices to 79 Kralja Aleksandra Boulevard, with the professional support of CBS International Office Agency Team. CBS International Project Management team undertook coordination of adaptation of 1,700 sq m of Huawei new company seat at the Airport City Belgrade, only office park in Belgrade. Adaptation was performed in line with sophisticated criteria and corporate standards of Huawei company. Furthermore, CBS Property and Facility Management team organized move of current Huawei offices to the new location. British Council renewed the lease at the Terazije St with the professional support of CBS International Office Agency. RT-RK, one of the leading companies in the region in the field of information technology, has selected new premises in Belgrade Office Park office complex, with the professional assistance of CBS International Office Agency team. Geodis, a French transport and logistics company, moved into GTC FourtyOne. The CBS International Project Management team handled complete adaptation of a new 1,500 square meters space, including interior design and project management, adjusting it to the specific needs of the company. The construction of the My Aviv complex in Belgrade, located in Zvezdara, one of the most beautiful Belgrade municipalities begins. The complex is located in the immediate neighbourhood of Aviv Park Zvezdara, and the vicinity of the Boulevard Kralja Aleksandra, Zvezdara Forest, Olimp Sports Center, schools, kindergartens and health facilities will make it a synonym for peace, security and comfortable home. After several retail parks this is the first residential complex that Israeli investor Aviv Arlon is building in Serbia. Na REBEC konferenciji stručnjaci su saglasni da je Beograd u fokusu inostranih investitora. 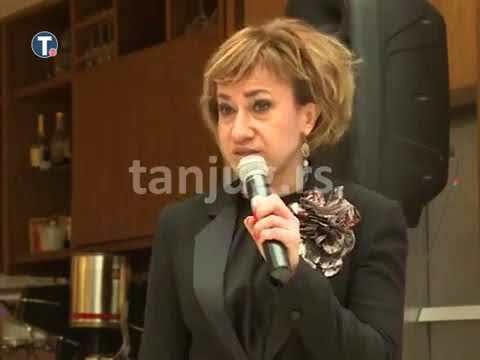 Jedanesti po redu REBEC izložba i konferencija posvećena investicijama, finansijama, procenama, javno privatnom partnerstvu i prometu nepokretnosti u SEE regiji održana je u hotelu Hilton od 18. do 20. juna. Značajan broj učesnika i posetioca imao je priliku da potvrdi pozitivan trend u poslovima prometa nepokretnosti na tržištu Srbije, a pre svega Beograda, kao i da se informiše o stanju tržišta Hrvatske, Slovenije, Mađarske i drugih okolnih zemalja. 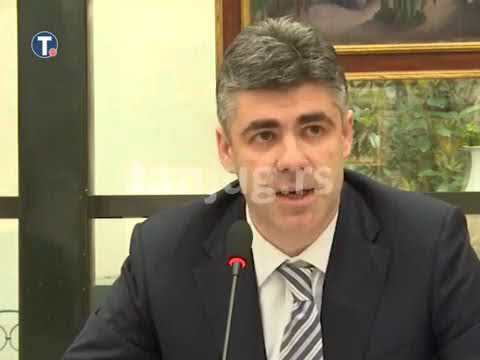 Uz jasnu konstataciju stručnjaka kao sto su James Kinnell, Adrian Limp, Ulrich Widmer i drugi, da je Beograd u fokusu stranih investitora na raznim panelima, moglo se čuti i mnogo korisnih informacija o svim segmentima poslova prometa nepokretnosti kao sto su maloprodaja, stanogradnja, kancelarijski prostor… Na konferenciji je ispred kompanije CBS International, deo Cushman&Wakefield grupe, u segmentu stanogradnje svoje izlaganje predstavila i direktorka prodaje i marketinga Mina Kalezić, regionalni direktor sektora kancelarijskog prostora Bojan Jevtić, direktor razvoja poslovanja Srđan Vujičić i regionalni direktor sektora procene vrednosti nekretnina Nenad Suzić, a štand kompanije na kome su predstavljeni ekskluzivni projekti CBS International, poput Business Garden, Skyline, Wellport i Voždove kapije bio je daleko najposećeniji u izložbenom delu konferencije. VISELIO Swiss company that offers on-line visa issuing services, has moved its Belgrade office to 12 Francuska Str, with the professional support of CBS International Office Agency Team. CBS International Office Agency Team, has negotiated a lease acquisition for Bonifar pharmaceutical company, which moved its business to GTC House in New Belgrade. Joorney LLC is an American consulting and business plan writing company headquartered in Miami, has relocated its Belgrade office to new premises in central pedestrian zone at Bulevar kralja Aleksandra, with the professional support of CBS International Office Agency. 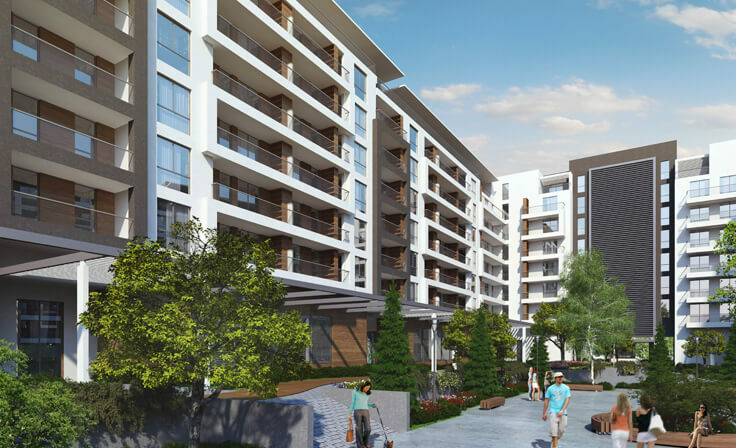 In the immediate vicinity of Airport City Belgrade, in Tadije Sondermajer St., this summer begins the construction of WELLPORT, the first true condominium in New Belgrade, which represents a new project of the renowned Israeli company Shikun & Binui Group. 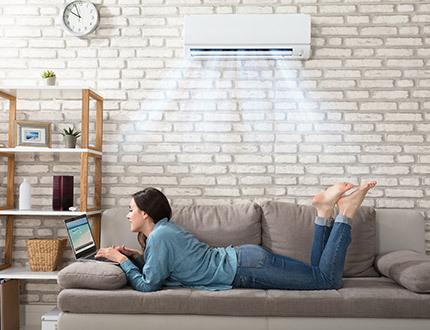 A sales office with a sample apartment was opened at the site, where customers can get acquainted with the whole offer and all other details. Exclusive sales of apartments are entrusted to the CBS International team for the Residential Sales and Leasing. CONTROL4, a leading provider of personalized automation and control solutions has selected its office premises in the largest office park in Belgrade, Airport City Belgrade, with full support of CBS International Office Agency Team. The same property was selected by LOGIPSIN, Software Development & IT Consulting company. 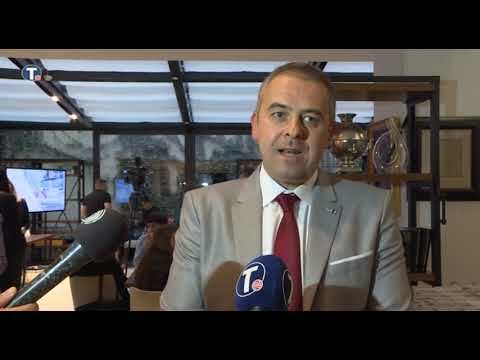 CBS International, has assisted the entrance of the Romanian accessories brand to the Serbian Market – MELI MELO PARIS. The flagship store was opened within Mercator Shopping Center in Belgrade. On 6th of February 2018, Meli Melo Paris has opened on a new store within Stadion Shopping Center in Belgrade, Serbia. 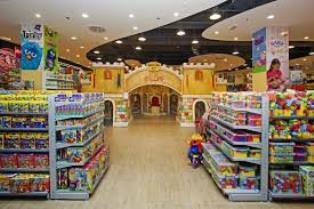 The new store is located on the ground floor of the mall and consists of 60 sqm. Its assortment offers a wide range of fashion jewelry, shoes, scarves, handbags, hair accessories and gifts sold at an affordable price range. Delfi knjižare, Serbian bookstore retail chain, opened its new bookshop on the 1st of March 2018 in the town of Smederevo, located at Karađorđev dud no. 2e Street, Serbia. The new bookshop consists of 150 sqm and offers a wide selection of domestic and international publications, as well as DVDs, games and gifts sold at a medium price range. Promenada and NEPI Rockcastle Retail Park Sabac. New Belgrade, for its new corporate seat, with the professional support of CBS International Office Agency Team. Sirius office building for its new corporate settings. KOTON, Turkish clothing company, has decided to further expand its network in Aviv Park Pancevo, with full support of CBS International Retail Team. 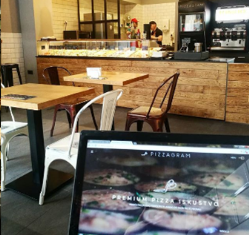 PIZZAGRAM, the new fast food retailer, opened its first store in Francuska street- Belgrade. 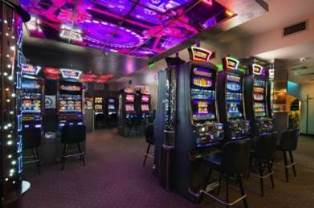 MAX BET, the leading gaming and family entertainment operator in Central and Eastern Europe, opened its new store in Jurija Gagarina street - Belgrade. CBS International has identified and negotiated the lease acquisition for the company ORBICO, which opened its new MAC COSMETICS shop within Modena high-street zone of Novi Sad. CBS International has negotiated a lease acquisition for BELIT, IT Company from Serbia, which moved its business to a well-positioned office Building in Nikole Pasica Square. CBS International Retail Team has negotiated the lease acquisition for GARINELLO, the well-known fashion brand, which has chosen the pedestrian zone of Kralja Aleksandra boulevard for its new store location in Belgrade. HALK BANK, the youngest foreign bank on the market opened new branch office in Makedonska street in Stari grad municipality as well as in Zemun Gospodska with support of CBS International Retail Team. CBS International Retail Team has negotiated the lease acquisition for MTS, well-known Serbian mobile operator, which decided to expand its network by opening a new store in high-street zone of Pozarevac. FUJITSU, Japanese multinational information technology equipment and services company, has moved its business to Airport City Belgrade, only business park in Belgrade, with a full support of CBS International Office Agency Team. CORTEX, has decided to further expand Women secret fashion brand network in Bosnia&Herzegovina; in Modena high street zone of Banja Luka, with full support of CBS International which negotiated this lease acquisition. DIGITEC GALAXUS, Swiss online selling company, has moved its business to the city center, with the full support of CBS International Office Agency Team. CBS International Office Agency Team has identified and negotiated the lease acquisition for the company ELOPAK, which moved its business to GTC Square Office Building. 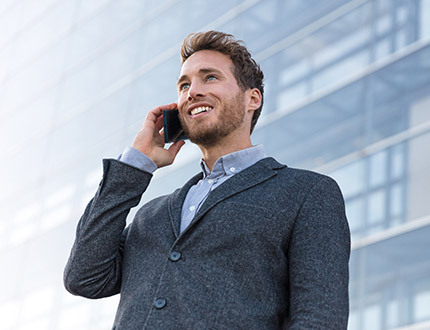 CBS International Office Agency Team has identified and negotiated the lease acquisition for the company ROAMING ELECTRONICS, the importer and distributor of consumer electronics and mobile devices, which moved its business to Becad Office Building. CBS International Office Agency Team, has negotiated a lease acquisition for PIN COMPUTERS, which moved its business to Jubmes bank office building in New Belgrade. 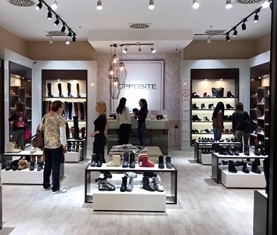 CBS International Retail Team has negotiated the lease acquisition for AFRODITE MODE COLLECTION, which has chosen Terazije Square in Belgrade city center for its new store location. CBS International Retail Team has negotiated the lease acquisition for HOUSE OF SAMSONITE, the new general distributor of the brand, which has chosen Čika Ljubina street in Belgrade city center for its first store location. CBS International Retail Team has negotiated the lease acquisition for INTERSPORT, which decided to expand its network by opening a new store within retail park, Aviv Park Pancevo. CBS International Retail team has negotiated the lease acquisition for RAIFFEISEN BANK subsidiary, located in Belgrade, Kralja Aleksandra Blvd. GIGATRON, the well-known retail chain for IT equipment and other home appliances, has chosen well-positioned office building located in Milutina Milankovica Boulevard, New Belgrade, for its new corporate seat, with the professional support of CBS International Office Agency Team. KG Fashion, the local dealer of Doca leather accessories and fashion, opened a new store in Belgrade, located in Kralja Aleksandra Boulevard, with the full support of CBS Internationa Retail Team. PIRATE TECHNOLOGIES, an online travel company, has moved its business to Airport City Belgrade Business Park, with the professional support of CBS International Office Agency Team. SPORT DEPOT, the local enterprise for import and wholesale of sports brands Jack Wolfskin, Keen, Lowa, Speedo, Everlast, decided to open a new store located in Zemun, at Karadjordje Square, with full support of CBS International Retail Team. SUMMA LABS, a software company that designs and develops innovative communication solutions and platforms, has chosen Airport City Belgrade for its new corporate seat with the professional support of CBS International Office Agency Team. The CBS International Office agency team has upon comprehensive office market analysis, offered expert support in identification of the adequate office space and realization of the lease acquisition at a prestigious corporate address in New Belgrade for BANK OF CHINA. Apart from the lease acquisition, CBS International Project Management Team, undertook a complete refurbishment of 1,200 sq m large new bank’s seat, in line with sophisticated criteria and business standards of this global banking leader. TREFOLINO, the local importer and distributor for children’s toys, has decided to further expand its network in Aviv Park Pancevo, with full support of CBS International Retail Team. CBS International Industrial and Land Agency Team has identified and negotiated warehouse and office space for CUMMINS, global manufacturer of diesel engines and related technologies, located in industrial zone of Nova Pazova. CBS International Retail Team has negotiated the lease acquisition for MERCATOR-S, which has chosen Kraljevo city center for its new store location. CBS International Office Agency Team has identified and negotiated the lease acquisition for SEVEN BRIDGES GENOMICS which has chosen the new office building within the Airport City business park. SEVEN BRIDGES GENOMICS new corporate seat will cover the area of amazing 6,000 sq m.
CBS International Retail Team has negotiated the lease acquisition for COCO SHOPPING, which has chosen Airport City Belgrade for its new store location. DIP-TRADE, the private enterprise for importing and wholesale of sun glasses, clothing, footwear, sportswear and other accessories, decided to expand its network by opening a new branded store Fly London in Cika Ljubina Street, with support of CBS International Retail Team. OFFICE SHOES, has continued to expand its network in Serbia, by choosing Aviv Park Zrenjanin for its new store location, with full support of CBS International Retail Team. PS FASHION, local fashion brand, has continued to expand its network by choosing Shopping Center Rajiceva for its new store location, with full support of CBS International Retail Team. 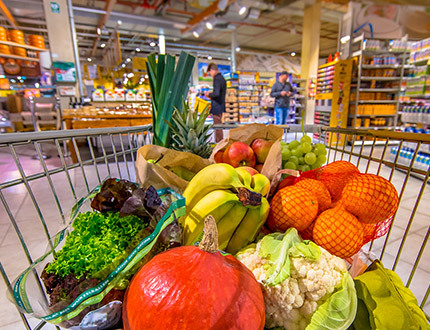 CBS International Retail Team has negotiated the lease acquisition for T-GROUP, which has chosen Aviv Park Zrenjanin for its new store location. 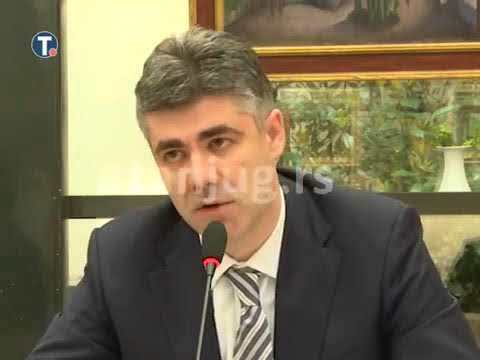 TELEKOM SRBIJA, the national telecommunication company, has decided to further expand its network in Aviv Park Zvezdara and Aviv Park Pancevo, with full support of CBS International Retail Team. BELGRADE, 03 April, 2018 – Cushman & Wakefield, a leading global real estate services firm, has signed an exclusive arrangement with CBS International as its affiliate in Serbia and Montenegro. 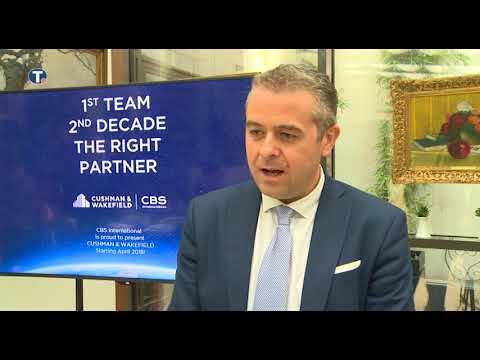 CBS International has entered into a second decade of impeccable market performance as the leading real estate consultancy in Serbia for seven years now, advising property owners, investors and occupiers across all sectors on every aspect of their property strategies. Cushman & Wakefield is a top three global real estate services firm, with 45,000 employees in more than 70 countries and recorded revenue of more than $6 billion. BEOGRAD, 03 April, 2018 – Cushman & Wakefield, globalno vodeća konsultantska kuća za nekretnine, potpisala je ugovor o partnerstvu sa domaćim tržišnim liderom kompanijom CBS International kao svojim ekskluzivnim zastupnikom za teritoriju Srbije i Crne Gore. 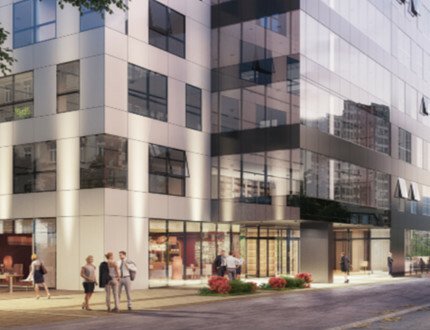 Central Garden is the first condominium in Belgrade downtown, located in-between the streets of Dalmatinska, Stanoja Glavasa, Kneza Danila and Starine Novaka, totalling 100,000 sq m and comprising 500 apartments, office tower of 16,000 sq m, inner private park of 2,600 sq m, numerous retail facilities on the ground floor, central reception, 24/7 security and professional maintenance. Close collaboration with the legal team on design of Reservation, Pre-Agreement and SPA templates Close collaboration with the banks for coordination of credit buyers Regular monthly sales reports sent to investors with sales analysis, evaluation of the achieved targets and revenues. The construction works and sales process commenced in January 2015. The first phase of 89 units completed in September 2015, 4 months prior to the deadline. All units were sold within the course of 6 months from the start of the construction The second phase with 89 units – all sold, completed in June 2016, also finished 4 months prior to the deadline The third phase of 129 units completed in November 2017, also fully sold out. The forth phase totalling 67 units started in May 2017. It comprises two buildings out of which the first one is being completed in April 2018, all apartments being sold out fully, whereas the final building within the complex is set to start construction in May 2018. The The list for interested parties for the final building amounts 5 times more interested buyers than the number of units. 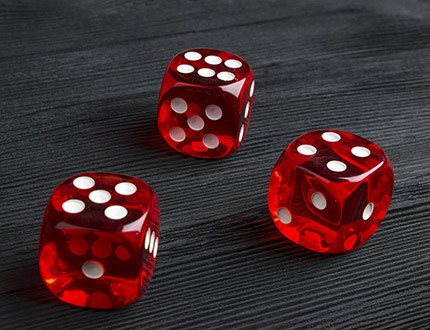 CBS International was instructed to find existing facility for the needs of Brownfield investment, as well as construction land for development of Greenfield investment. Also, CBS International provided project management services on reconstruction of Brownfield and on construction of Greenfield facility. 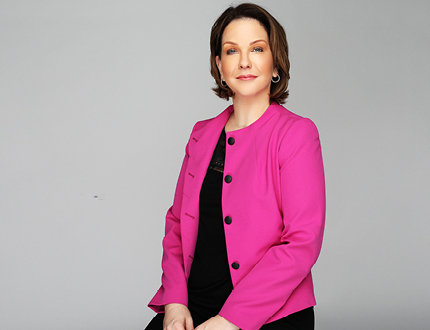 I agree to receive news and real estate market reports as well as notifications regarding attractive properties that CBS International has on offer.